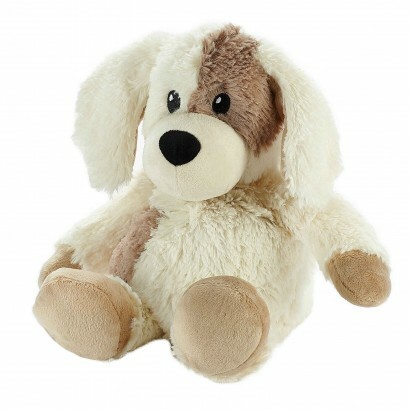 The cutest of pups that's made for hugs, this adorable plush puppy can be warmed in the microwave for the cosiest of cuddles! 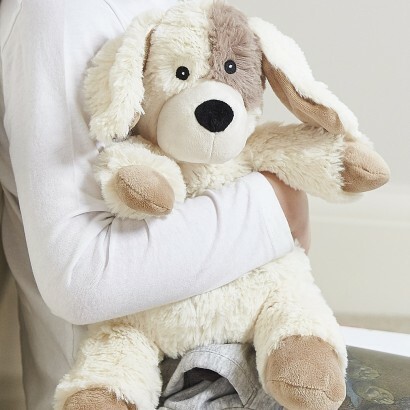 Filled with treated organic materials and French lavender, this cuddly puppy can be popped in the microwave for up to 90 seconds delivering warming hugs and a soothing lavender scent when he comes out. Perfect for cosy cuddles on cold nights, this cute character is also ideal for warming cold beds and even helping to soothe aches and pains, and did we mention that he's really cute too?